​It's no secret that Clayton Kershaw is ​one of the very best pitchers in all of baseball. It's also no secret that he's ​considerably worse in the playoffs than the regular season. For years, analysts have tried to get to the bottom of this seemingly inexplicable phenomenon. Every October, they become amateur psychologists and try to diagnose Kershaw's "mental block" in the postseason. What it all really boils down to, though, doesn't have anything to do with Kershaw's mental approach. A closer look at the stats reveals that this is very much a physical problem: Kershaw is exhausted. "Relying on Clayton Kershaw in EVERY big game has not worked out... His ERA is 4.35 in the playoffs and he's been very Peyton Manning-esque." The three-time Cy Young Award winner has been in the league for 11 years. He has thrown for over 200 innings five separate times. In fact, he averages 225 innings a year. To put that in perspective, the innings leader across the entire MLB in 2018 was Max Scherzer with 220.2. By the time the postseason rolls around every year, this man is gassed beyond belief. He averages three complete game shutouts every year (the league leaders this year all had two each) and only seems to truly combust in the playoffs when he's sticking around late in games. In an era where fewer and fewer pitchers are allowed to go deep with abandon, Kershaw has been one of the lone exceptions. He is asked every year to do the heavy lifting for the Dodgers all season long, and then is ripped when he sputters at the end. Statistics show that every pitcher fares worse against teams their second and third time though the order. Kershaw, as masterful as he is, is no exception. Combine that his excessive workload and it seems crazy that anyone can blame him for tiring down the stretch. But he's tired all the same. Clayton Kershaw is indisputably a Hall of Fame pitcher whose playoff numbers happen to be disappointing (7-7, 4.35 ERA). Blaming him squarely for this is foolhardy. That lazy narrative fails to account for the very human element of exhaustion. Kershaw, believe it or not, isn't a machine. 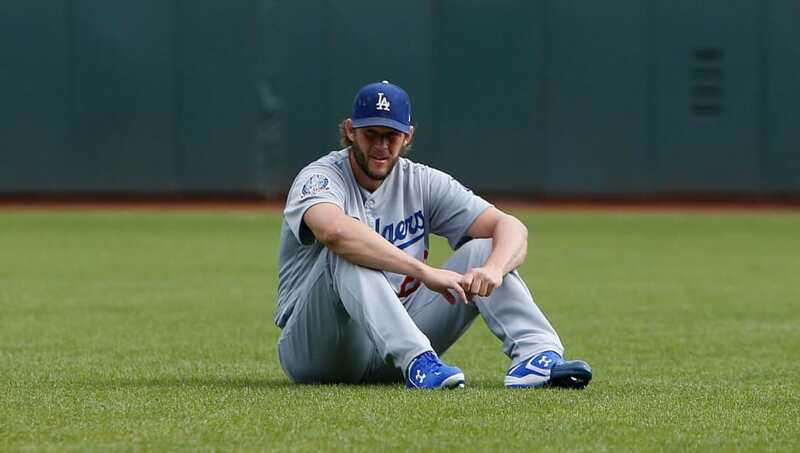 When the Dodgers treat him like one, it's unsurprising that he breaks down after a while. That's the price of his singular importance to the team.